PEACE – Friday, October 5, 11.00 a.m.
Who Will Win the #ChemNobel? Predicting the 2018 Nobel Laureate(s) in Chemistry (American Chemical Society September 27, 2018 @ 2:00pm ET) Feed your frenzy as we once again host our annual predictions webinar that will tide you over until October 3. Join the editors at Chemical & Engineering News and a panel of special guests as they make their best guesses at who will claim chemistry’s big prize during an interactive free broadcast on September 27. Cast your own virtual vote and ask the panelists and hosts questions during a lively discussion of Nobel-worthy science. With prestigious prize, an overshadowed CRISPR researcher wins the spotlight (By Jon Cohen Jun. 4, 2018, 12:45 PM Science) Šikšnys first showed that the CRISPR-Cas9 system, a bacterial immune mechanism, could be transferred from one bacterium to another. He also independently made the same advance as Doudna and Charpentier: developing a way to steer the CRISPR-Cas9 complex to specific targets on a genome, which he called “directed DNA surgery.” … Doudna and Charpentier reported their findings in a landmark Science paper published online on 28 June 2012. But it took Šikšnys 5 months to publish his study; it was rejected by Cell and Cell Reports, and then moved slowly through editing at the Proceedings of the National Academy of Sciences (PNAS), which published it online on 25 September 2012. When will CRISPR get a Nobel Prize? (PLOS Synbio Community Posted October 5, 2017 by Aaron Dy) Who gets a Nobel for CRISPR? 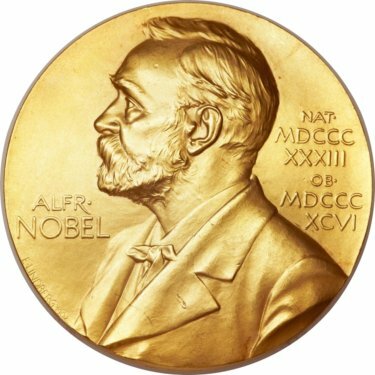 I’ve already referenced the main players, but here’s a very-much-non-definitive list of people rumored to be up for a CRISPR Nobel (in alphabetical order): Emmanuelle Charpentier at Max Planck Institute for Infection Biology in Berlin (fomerly Umeå University), George Church at Harvard University and Wyss Institute, Jennifer Doudna at University of California, Berkeley, Virginijus Šikšnys at Institute of Biotechnology in Lithuania, and Feng Zhang at Broad Institute and MIT.